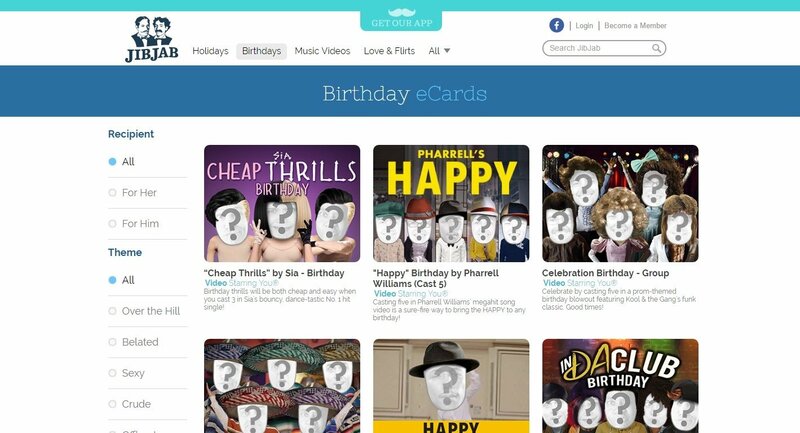 If you're fed up of the boring greetings you usually send every year to wish a Merry Christmas, a Happy Birthday or celebrate any other event, that's because you still don't know JibJab, the online application to create eCards with which you create totally customized digital greetings. Holidays: Greet a special festivity. 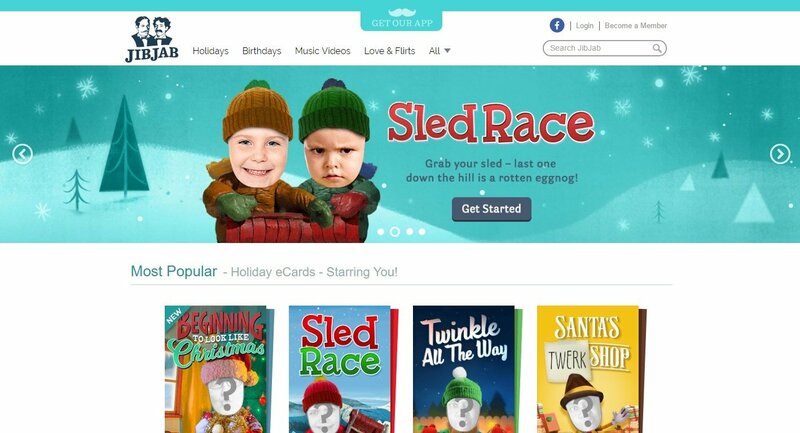 Find cards for Christmas or to celebrate Hanukkah, Halloween, St. Patrick's Day or Mothers Day. Everyday Fun eCards: Gangnam Style, polka or "disco" dances. Birthday: perfect for birthday parties. You Rock: tell someone they are the best! Congratulate brilliant ideas. Sorry: earn the forgiveness of someone with these sincere apologies. 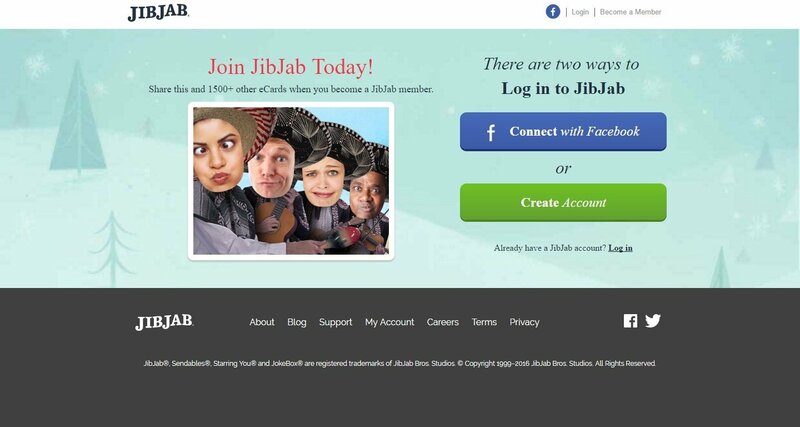 Where can I download JibJab for free? How much does it cost? Nothing, it's free unless you want a premium account. However, if you're looking for something similar to download to your smartphone, whether you use Android or iPhone, you can try out Elf Yourself. 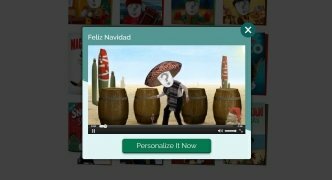 It's exclusively focused on Christmas motifs and the range of videos available is much smaller, but it's also very useful to create original greetings that won't leave anyone cold. 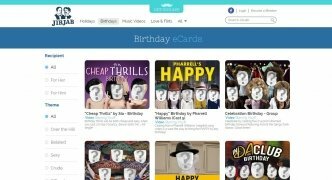 So, how do I create videos with this online app? Step 1: Login through Facebook or by means of your own credentials for this application. 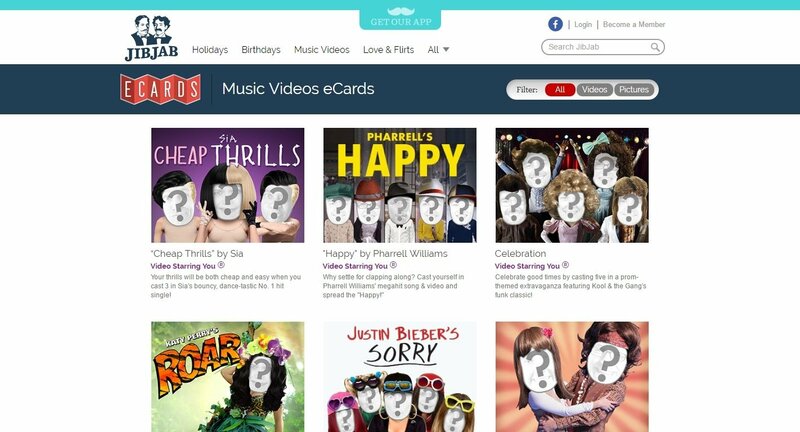 Step 2: Browse through the chosen category and select a template between the dozens available. Step 3: Watch the sample video and if you think it's cool press the Personalize It Now button. Step 4: Choose the number of people that will appear in your video, between 1 and 5. 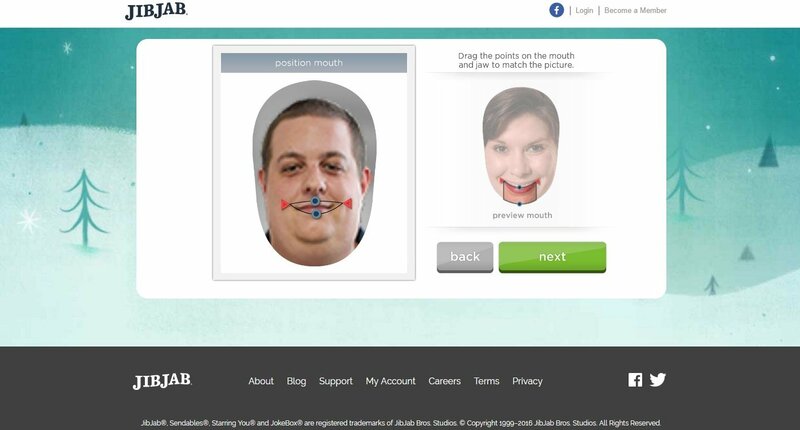 Step 5: Upload a photo of the face to be used, take it with your webcam or steal it from Facebook. Step 6: Modify the size of the image, rotate it and adjust the eye line and mouth shape following the on-screen instructions. Step 7: Drag the pictures to the template and repeat the process with all the other people that will appear in the video. 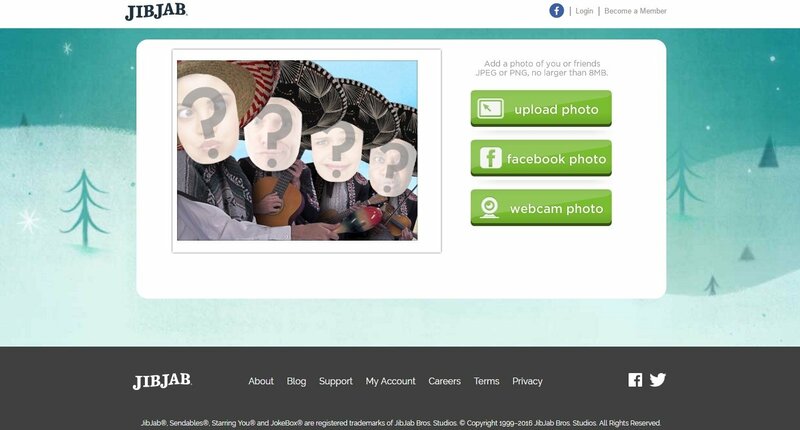 Step 8: Add a title to your video and view the result that you can share with your contacts by email or social networks. Some contents are only accessible if you are a Premium member (paid). 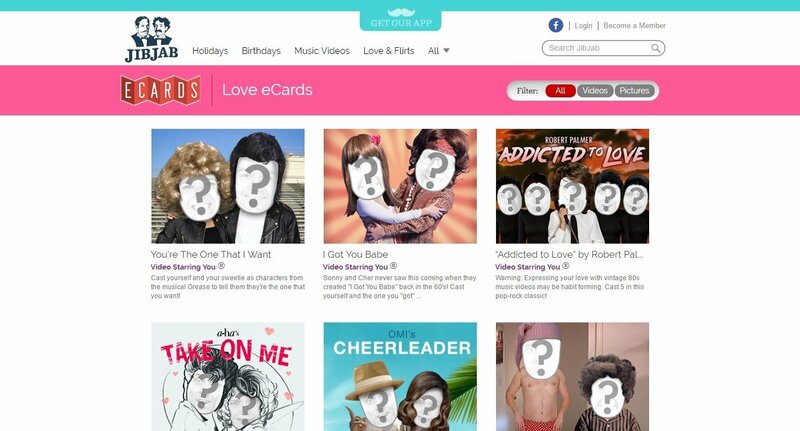 To send the cards you must have created an account on JibJab or log in with your Facebook account.